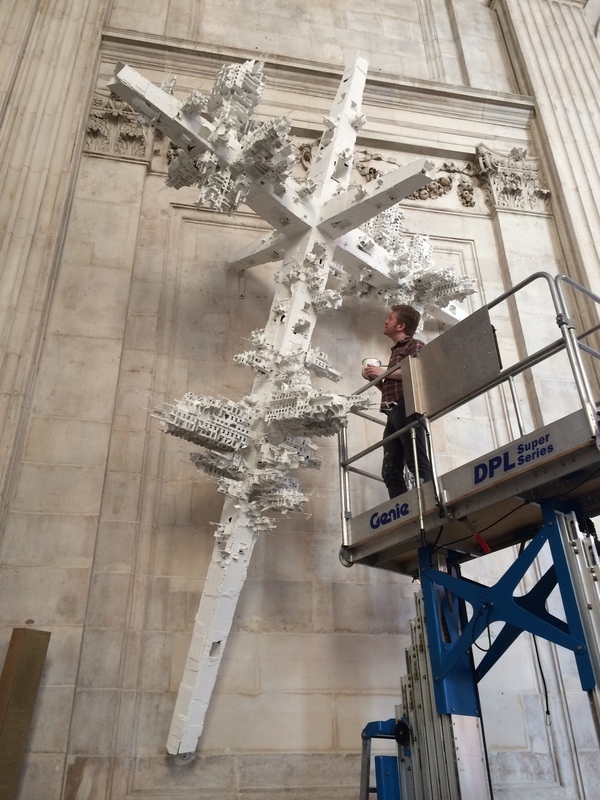 To commemorate the 100th anniversary of the start of the First World War St Paul’s Cathedral commissioned the artist Gerry Judah to produce an installation that would adorn the north and south walls of the nave. 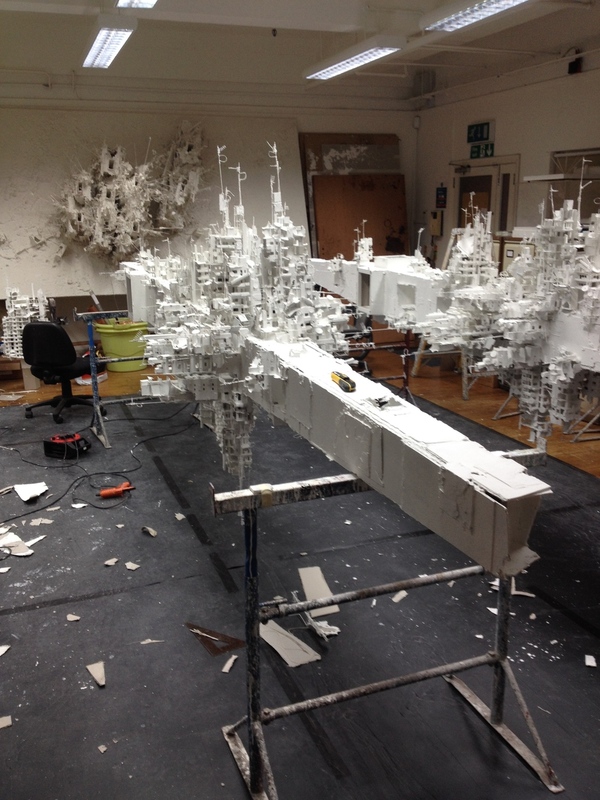 Working with Gerry Judah, I was tasked with making model buildings that would be used on the twin sculptures. 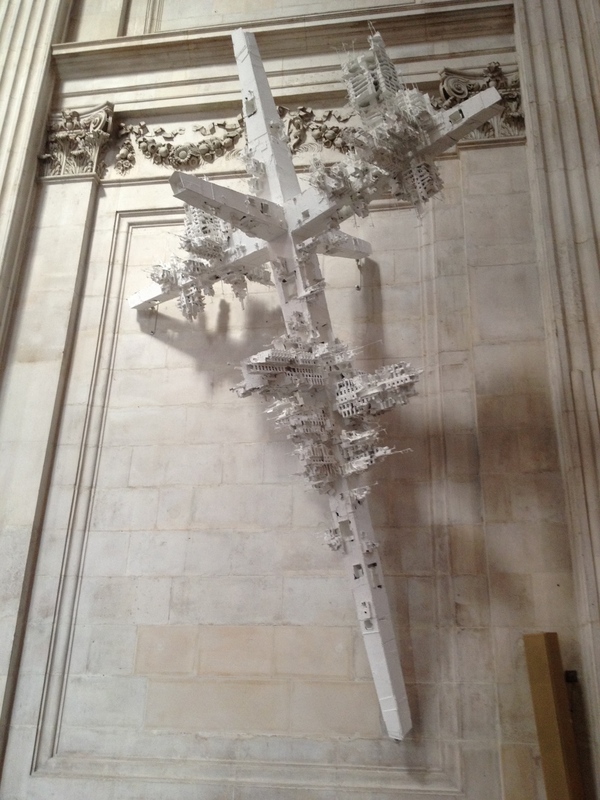 The main structure was a steel frame made by Littlehampton Welding and this cruciform shape was covered in layers of cardboard and white paint. Model buildings made from cardboard were fixed to the arms and damaged and distressed to replicate the damage done by war. Layers of detail were added, satellite dishes, water towers, ariels, shop awnings and street furniture. Finally, layers of paint and plaster were applied for the final surface texture. 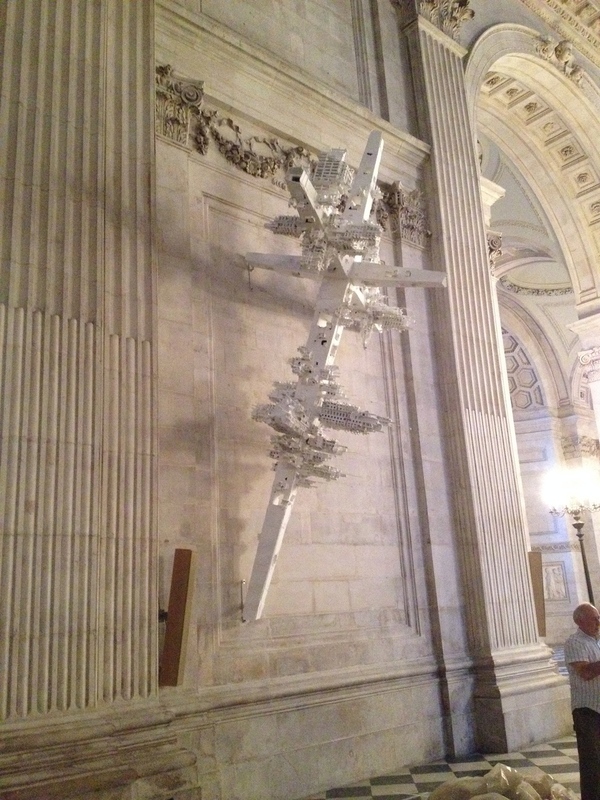 The two white cruciforms evoke the white crosses of remembrance, a symbol seen in memorials the world over. Covering the sculptures are dozens of model buildings ranging from small huts to tower blocks. The modern architecture of these buildings aims to contemporize the piece in an effort to remind the viewer that, even 100 years after the start of “The war to end all wars”, conflict is still a part of many people’s existence.